City Brew Tours is one of the leading names if brew tours and beer experiences around the United States, with several locations in various major cities including Washington D.C., Philadelphia, Baltimore, New York City, and Pittsburgh. City Brew Tours got started back in 2008, but its Pittsburgh brewery tours and beer experiences started up just recently in 2017. With expert beer guides leading the way and tours taking in some of the most historic and exciting breweries of Pittsburgh like Penn Brewery, 11th Hour Brewing, Couch Brewery, Hop Farm Brewing Co, Spoonwood Brewing Co, and Hofbrauhaus, these City Brew Tours give you the ultimate beer experience in Steel City. 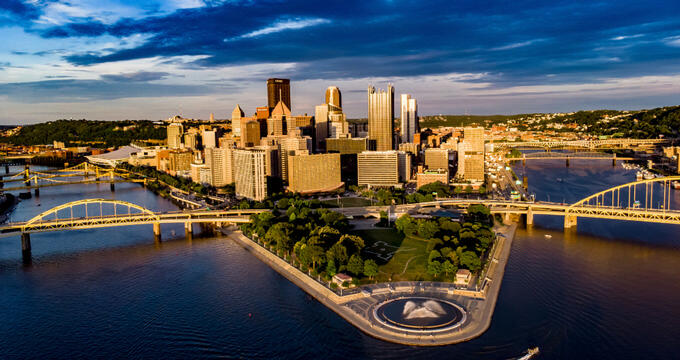 Pittsburgh, PA is a city with a rich artisanal and craft beer history, and City Brew Tours has established smart working relationships with all of the biggest and most popular breweries around in order to offer the best beer tours in the state. Private tours can be organized and customized to suit individual groups of families, friends, or colleagues, but the simplest option is to simply sign up for one of the pre-structured public brew tours of Pittsburgh. There are three different public City Brew Tours of Pittsburgh, with one of the most popular options being the Pittsburgh Original Brew Tour. Running in the mornings of Saturday and Sunday, this five hour tour includes four stops and up to 16 beer tastings in total. A beer-inspired lunch will also be included in the price of admission and all guests will be taken for fascinating behind-the-scenes experiences at many of the top craft breweries around the city. The Pittsburgh After Hours Brew Tour is another great option with City Brew Tours. As the name suggests, this is an evening tour and runs from Wednesday through to Sunday. Lasting five hours in total, this after-hours tour offers a unique look at Pittsburgh's breweries after the sun has set, with beer experts and brewery staff guiding the way, sharing educational and entertaining information along the way as you take in some of Steel City's best beer locations. Dinner is included in this tour, along with up to 16 tastings and four stops. The final option offers something a little lighter; the Sip of Pittsburgh Brew Tour is a little shorter and cheaper than the other options, but still features three stops and up to 12 beer tastings, as well as a pretzel snack and fun lessons in beer brewing and history. This tour lasts for three and a half hours and runs at various times through the weekend.